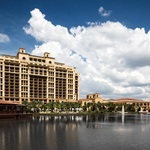 A first timer might believe Florida is 90 per cent theme parks and golf resorts, the Sunshine State attractions relentlessly plugged by the travel brochures. But it is easier than you think to forget about ‘Mickey’ and his mates when you visit south east Florida and the Everglades, going alligator spotting in the Everglades, cruising down the Florida Keys in a convertible with a warm breeze nicely messing your hair up or even parading your new plastic surgery among the bodies beautiful along Miami’s famed South Beach. The lure of shrieking , shaking , adrenaline excess did prove irresistible just the once at a serious museum devoted to scientific discovery and ecological research. I just had to spin like a “human hurricane” inside Fort Lauderdale’s fascinating Gizmo City at the Museum of Discovery and Science, and experience the weightlessness of space on a ‘Manned Manoeuvring Unit’. Fort Lauderdale was our launch pad for the perfect antidote to the thrills and spills of the Sunshine State’s numerous theme parks – a foray into the Everglades followed by one of the world’s great road trips, down the Florida keys to where the road ends at the southernmost point on the North American continent. Quite a few travelers from Europe are unaware of the handy connection by scenic water taxi between Fort Lauderdale and South Beach, Miami famed for night life, bizarre and exotic people watching and art deco architecture . That took the hassle out of travel on the multi lane fast moving Route 95 , negotiating Miami’s urban sprawl and pricey parking options . Now one of the world’s busiest cruise ship ports Fort Lauderdale has a long pristine beach-front, glittering waterways and a Millionaires mile of Hollywood style mansions and neo Italian Palazzos screaming new money. 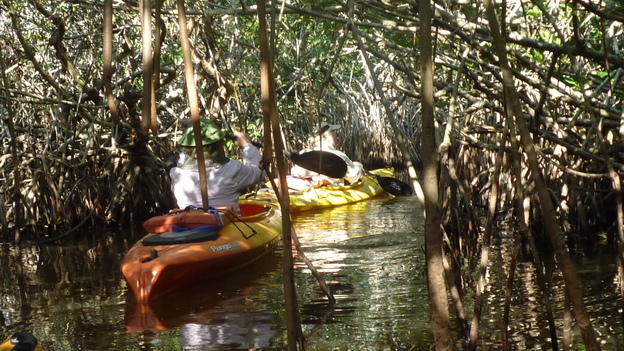 Fort Lauderdale is also the best gateway to explore the Everglades. The stars of the Everglades – an estimated 2 million of them – are undoubtedly the’ gators’ even though there are thousands more exotic species between animal, bird, plant and insect life in this unique place so impenetrable and strange and yet so close to civilization.. It is said that far too many tourists just drive through or skirt around the Everglades on the highway locals call ‘Alligator Alley’ which connects Tampa on the west with Miami to the east. 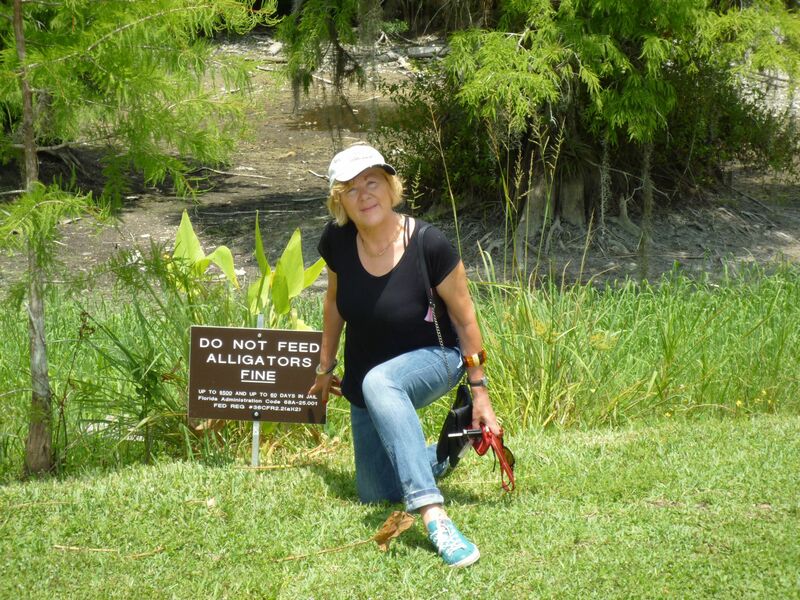 They may stop briefly at a alligator lookout for photo opportunities . A glance in the rear view mirror of the towering Saw grass receding behind them in the distance and they think they have seen the Everglades. Everglades City, a large sleepy village, is the centre for adventures like canoeing, edging a skiff in among one of the deserted 10,000 islands, hiking along the wildlife board walks, fishing, even wading through the swamps if you dare come that close to the ever present gators or water snakes, not to mention the biting insects. Renowned Florida naturalist and preservationist David Harraden, pioneer of guided eco tours into back-country owns a charming old guest-house the Ivey House Inn with a resident mocking bird who guarded the premises during our visit making a sound like a ringing telephone when he wasn’t zooming down to take a close eyeball look at new arrivals. 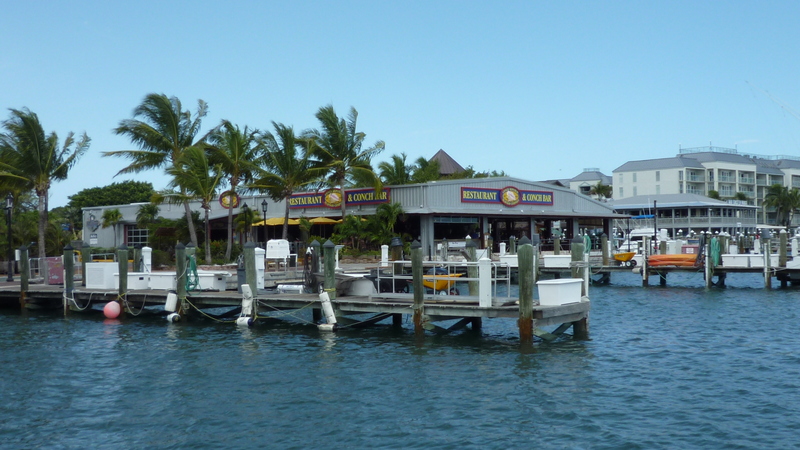 There are several ways of driving south to connect with the ‘Overseas Highway’ US Highway 1 which begins at Florida City – recommended in guide books as the more scenic and less congested route . The drive down the Florida keys, an extraordinary feat of engineering made up of over 50 bridges linking the ribbon of islands, along the archipelago curving from Biscayne Bay to Key west is a must do sometime for all visitors to the Sunshine State.. Tempting Seascapes on both sides are framed by pines, palms and mangroves begging further exploration and a couple of days idling away the time. Snorkelling and diving enthusiasts can enjoy a wonderful world of wrecks and colourful reefs teaming with marine life on cruises run by all kinds of vessels from picturesque marinas all the way down the keys. Key West is the end reward, full of, fun and atmosphere is where Ernest Hemingway, Harry Truman, Tennessee Williams and Blackbeard the pirate, among the notables, used to hang out. 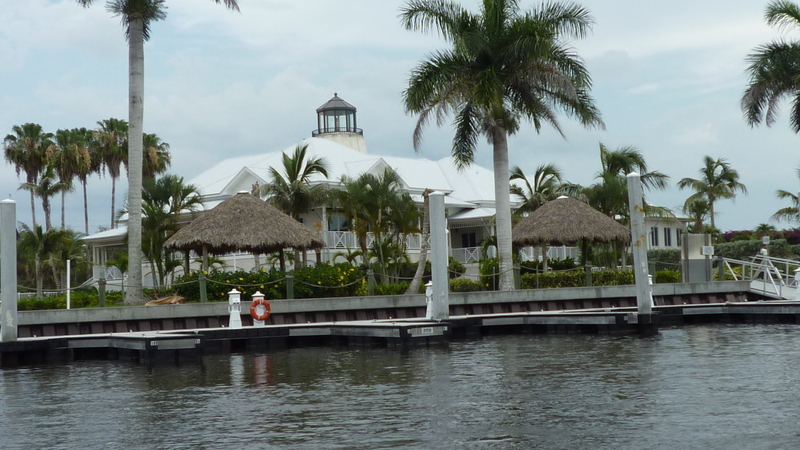 We stayed in a elegant guest-house built from Dade county pine with wrap around verandas and luxuriant gardens Cypress House which has a shaded pool and is just minutes away from Mallory Dock and all the Key West action. Key West sunsets are reason alone for being here and draw big crowds and a carnival like vibe. Once the blood red sun becomes a sliver of gold and disappears beneath the horizon everyone applauds . Then they head off for cocktails at Sloppy Joe’s, Hemingway’s favourite bar or another watering hole. Dozens of restaurants in old town specialize in locally caught seafood so take your pick and don’t forget to follow up with a slice of Key West Lime pie bursting with fresh zest and calories. We just sat back and decided….what finer way to end a day down here on the southernmost edge of the US. 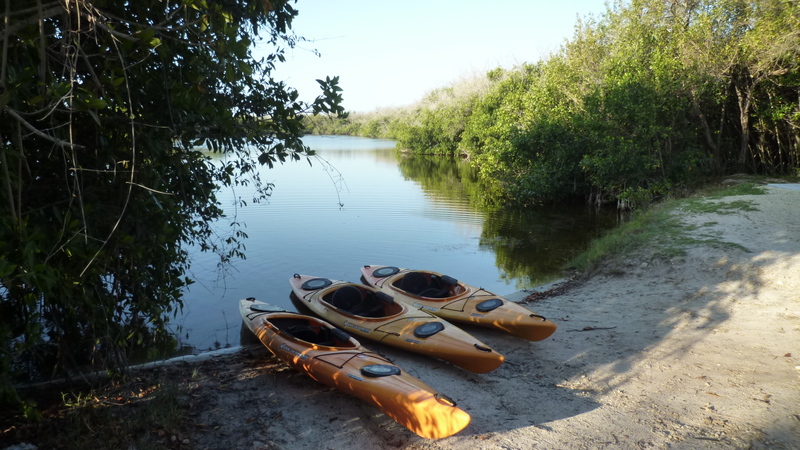 The Everglades: best time to visit is between October and March during the dry season when the scourge of mosquitoes has ended. Florida is renowned for its winter sunshine and pleasant temperatures. The famous Fantasy Fest, Key West’s answer to Mardi Gras is held in late October. The world descends and party’s hard for ten days and nights. I want to go to south west Florida and the Everglades. How do I get there? British Airways runs regular flights to Miami, Tampa and Orlando. Return flights from Gatwick to Orlando cost from £518, including all taxes, fees and charges, while return flights to Tampa cost from £518, Virgin Atlantic also runs regular services to Miami and Orlando. 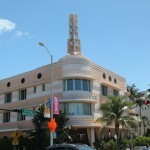 Miami Art and Deco. The Perfect Double Act.